We needed to have a Sunday lunch in London and having an email from the manager at The Clarendon, Notting Hill, we decided to have a go. The service here was excellent, being shown to our tables and helping as much as needed. The decor was great, with a very large clock almost taking up one wall. The Sunday lunch quality was top notch. It was a shame that we were served jus instead of gravy as Claire and I like lashings of it (which meant we needed another jug). Overall, a highly recommended Sunday lunch in Notting Hill. We decided on The Fat Badger in Notting Hill as it was advertised to offer a Table Top Roast. This sounded perfect for John’s birthday. The decoration was quirky and fun – the wallpaper, on closer inspection were actually scenes of London with cartoon cops and robbers. The table top roast was excellent, we were able to serve our own food. 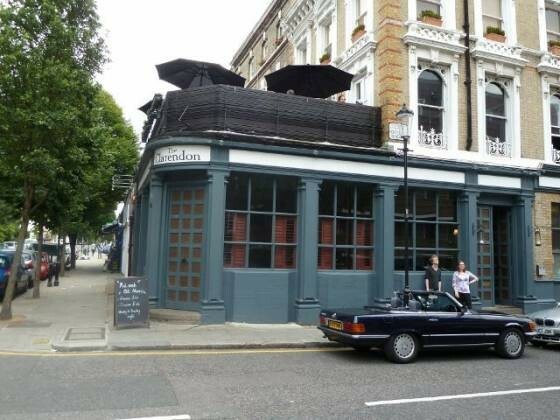 The service was also very good and overall an enjoyable Sunday lunch in Notting Hill.